At the beginning of the year, many have the same goal – to pay off debt. One of the fastest ways to kill debt is to lower your interest rate on your credit card, or other consumer debt. Reducing your interest rate can slash years off your debt repayment journey, allowing you to become free of it faster. This is the route I took when I was paying off debt. My four credit cards had an interest rate of over 20 percent. Payments were making little impact on my overall debt, and I needed help. I worked with a credit-counseling agency that was able to negotiate with the banks to get the interest rates lowered to no more than five percent. In fact, two of the banks reduced the rate to 0. That factor helped my efforts truly make a dent in my debt and build momentum. If you feel like you’ll never climb out from beneath the burden of debt, here’s how you can lower your interest rate and pay off your credit cards for good. The absolute best way to lower the interest rate on your credit card is by simply calling the bank and asking. I know it sounds too good to be true, but it does work. I’ve done it myself in the past and know many others who have done the same thing. In fact, according to a recent Creditcards.com survey, calling and asking works 70 percent of the time. Be kind, not rude. You’re asking them for a favor, and you’ll get much further with kindness. Ask for a supervisor if the first representative is unable to do anything. Do your homework and find out what other similar cards are charging. You may be able to work this to your advantage when negotiating. Start with your oldest card first. It shows loyalty, and if you keep the card once paid off, it will help stabilize your credit. Have a legitimate reason. Explain that you’re working to pay off debt, you’ve never missed a payment, etc. so it doesn’t come across as begging. Be prepared for what the bank will say. They may only grant you a temporary rate reduction. They may deny your request. You can try the same approach with other banks as well. Thankfully, there are other options to consider to lower your interest rate if the simple approach does not work. Perhaps the best way to lower your interest rate is by using a balance transfer credit card. You open a balance transfer card (here’s a list of some of the available options) and transfer the balance to the new card. Many balance transfer credit cards will have a teaser rate of 0 percent for 12-18 months. This gives you a window during which your payments will be more effective and you’ll save loads of money on interest. Just keep in mind that some balance transfer cards will ding you if the balance is not paid in full by the end of the teaser rate. They do this by retroactively charging you interest on the entire balance. You may also be charged a 3-4 percent fee to transfer the balance. Do your math to find the best possible option to kill your debt. Taking out a loan to pay off debt? Yes, it can be done, and it can work out well when done wisely. Taking out an unsecured personal loan can help lower your interest rate, especially if you have a relatively good credit score – often slashing your interest rate by half or more. Lenders like Payoff are great options to lower your interest rate and pay off debt faster. You can also compare lenders to find the best rate/fit possible. Even Financial lets you compare up to 17 lenders to find the best personal loan for your needs. It takes less than a minute to fill out the application, and within a few minutes they provide possible matches. Keep in mind that if your credit score is lower, or you’re unable to pay back the loan in the timeframe, a personal loan may not be the best way to pay off debt. The route I took to reduce my interest rate was using a debt relief program. They charged me $20 per month and worked with all my credit card companies – including managing payments. I didn’t have to deal with the banks, which I loved, and I learned how to live on a budget. The big drawback to debt relief programs is that the market is full of scammers. Common signs to look for are astronomical fees, or not helping you get back on track financially. There are good ones out there, so do your due diligence – the National Foundation for Credit Counseling can be a great resource as they have a database of reputable, nonprofit organizations that are able to help. Credit card debt isn’t the only debt you can lower your interest rate on; you can also do the same with student loans. Student loan debt is pervasive in our society, for a variety of reasons. If you feel like you’ll never be able to pay them off, or just want some help, refinancing your loans may be an option. Lenders like SoFi or Credible are great options to lower your interest rate on student loans and pay off the debt quicker. Just make sure you don’t give up any benefits you receive in your industry as the math may not shake out in the end. Trying to lower your interest rate does one thing – it helps you pay off debt faster. 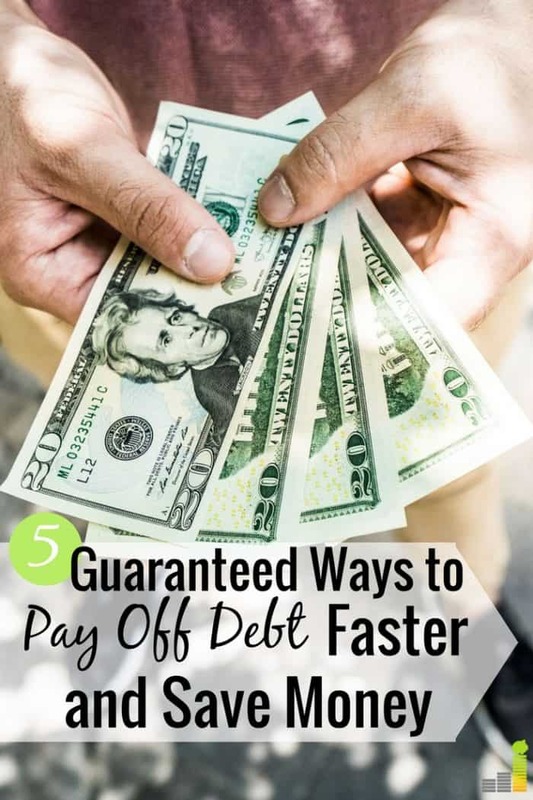 Reducing your interest rate is just one way to pay off your debt; there are many other ways to pay off debt that work well but lowering your interest rate is my favorite way to pay off debt. Regardless of the method you take to pay off debt, the key is to change your habits. Paying off debt, only to continue foolish spending will put you back in the same situation. This means you spend only what you can afford and pay off your credit card in full each month. It also means you actively begin saving money each month. Pick a bank like Barclays as they have no minimum balance and pays 2.20 percent so you can build your savings cushion. This will transform you from a spender into saver, which is the key to staying debt free. Have you ever had success in getting a credit card company to lower your interest rate? 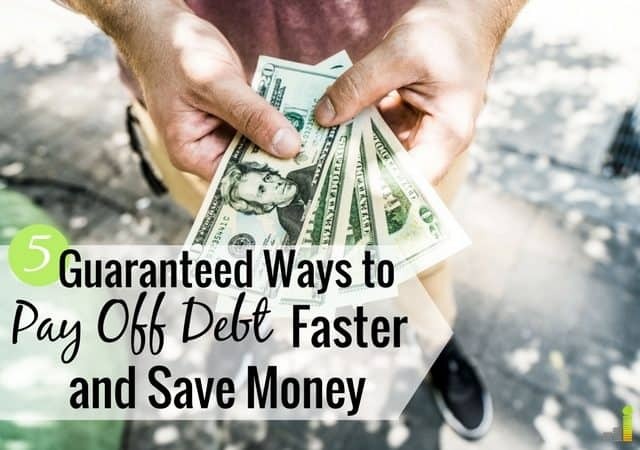 What other ways have you found helpful to pay off debt quicker? Are you working to pay off debt this year?